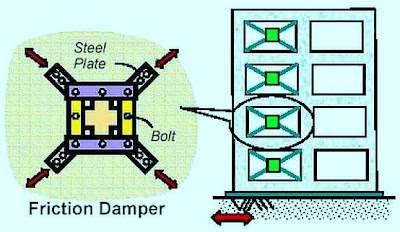 Energy dissipation technology is a new technology to improve earthquake resistance of structures. During an earthquake, a certain amount of energy is transferred to the building. While buildings can dissipate, or damp, this energy, the capacity to do so before becoming deformed or damaged is quite limited. A building dissipates energy either by undergoing large-scale movement or by sustaining increased strains in key building elements such as columns and beams. Both of these processes eventually result in some degree of damage. 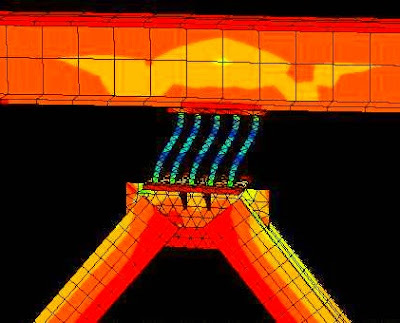 Structural engineers can greatly decrease the seismic energy entering the building, and thus decrease building damage, by equipping a building with additional devices that have high damping capacity. Damping devices are often installed as part of bracing systems. Figure above shows one type of damper-brace arrangement, with one end attached to a column and one end attached to a floor beam. 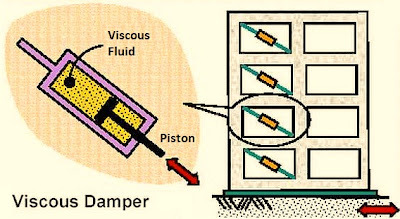 provide a damper is economical or ductile detailing is economical?